Greetings! It's been quite a few years since I logged on here. I was at the Macon show. Sold out. Just over 2600 seat theatre. Been looking forward to it for months. Brought my fiance cause she knew the importance of Dickey and the ABB to me musically. The ABB literally changed the way I play and listen to music when my parents bought me a greatest hits cd in 2006. So please know that everything I say is said out of the utmost love and respect for Dickey. He'll always be my favorite and a legend. We spent a wonderful afternoon in Macon checking out the local shops, walking around Capricorn Studios (all boarded up), going to the Big House, and checking the local Ocmulgee National Monument. It was truly incredible to feel the sense of camaraderie in the town amongst fans. There was a buzz like I'd never felt before. People were speculating Jamoe was gonna sit in. That he was gonna do some of Gregg's songs. When the time finally came he got a standing ovation when he walked onstage. Bonnie Bramblett joined him onstage and sang BGV's. That was such a thing to see considering their history and her legend status as well. It was incredible to be there to support him and champion him as the legend that he is, but it was a terrible show to listen to. He seemed so confused, playing poorly and out of tune. Duane (his son) was frequently guiding him through the tunes. He sang poorly. It really seemed like his pocket was nonexistent. None of the incredible rhythm playing he used to provide. He would come in on the wrong spots and screw up the band. He missed most of the sig licks and leads. On songs he didn't sing he would sit or lean against a stool. Sorta seemed like he didn't want to be there honestly. Now the positive. Bonnie is a legend. Same charisma she had back in the videos I've seen from the 70s. To see her share the stage with him was special and supportive. Jamoe DID come out and sit in on Whipping Post. To see the two surviving ABB members play together for the first time in 18 years was priceless. Ive seen Dickey twice with Great Southern and the ABB three times so it was also special to hear Dickey play on Whipping Post. Every now and then he would find something and a sliver of his old thing was there. It would sound "right". I noticed this on Midnight Rider which Devon Allman sang. When Dickey came in for the solo (albeit very sloppy) it sounded like the right part. It's incredible how even with his health in the condition that it is that he still has in instantly recognizable style. ALSO. His son Duane is a tasteful MONSTER. He stole the show. Masterful solo on Whipping Post. Check out his new record "Sketches of American Music". I hope that his week run in July is much better and that he warms up. I also hope that nobody is forcing him to do this. I told my fiance in the hotel room that I was so thankful Dickey decided to play this show, because I had thought I would never get to see him play again. I went into the show with no expectations and really enjoyed myself despite everything. I also bought a ridiculous amount of merch so I can rep Dickey as the legend he is for years to come. I have no expectations for the Beacon show, but i'll be there. Thanks for the honest review. I'll be at the St. George show because Dickey is one of my all time favorites. I'll take my Mothers advice and say that I don't have anything good to say, then I won't say anything at all. I think it's perfectly fine to share your opinion/review even if it isn't a positive. It gives those who want a preview an idea of what others are seeing. Results as always will vary. Thanks for the review, GuitarPlaynTaylor.....Also, thanks for the heads up on Duane's album. Glad you enjoyed your evening. A shame Mr. Betts is NOT enhancing his otherwise redoubtable legacy with his shows so far (and it doesn't sound as though he's just working out minor kinks?!). Begging the question if any conversations are being conducted on the quality of the music (or the lack thereof? I wrote positive stuff about the show. It's no less "honest" than someone else who puts that in the title of their review. It was not a terrible show to listen to (in person....I was never planning on tracking down a recording). I didn't go thinking I was seeing Dickey of years ago. Age has taken it's toll. I had seen a couple videos of Sarasota and it was significantly better in just 2 days. I didn't find it to be as out of sync as the GuitarPlaynTaylor. Abosutely, Duane was guding his pops in plenty of spots...being animated in his body movement....Dickey was late coming in in spots. They covered very well. They had smooth landing on every song. I saw 9 really talented guitarists throughout the night including Devon's set and Jaimoe's gig. My brother said "no one has as good of a tone as Dickey." I agreed. (He also said Jack Pearson was hands down the best musician he had seen all night and I agreed there too). Dickey leaned on the stool during the long songs when others were soloing...but not even every song. He stood up for every one of his solos and of course when he was at the mic singing. He doesn't have voice he once did (singing or speaking), but he wasn't lost (late to mic once I noticed but he jumped into line two). The crowd sang along with everything Dickey did so it was fun. There wasn't a single moment that I recall him screwing up the band even if he was coming a step behind. It's the best lineup I think Dickey has had since the Brothers (partially due to Duane's improvement and the new second drummer and Damon Fowler). PS - They also played Change My Way of Living I think after Seven Turns. We enjoyed the concert from 1st row balcony. Also heard after the show that Dickey may have had a slight stroke a week ago and that is why his singing & playing was a little off in Sarasota & Macon. Overall he gave us all a thrill and Macon was buzzin for a few days. I agree with hotlantatim… my opinion is that is was a great night for everyone in attendance, Macon was there for Dickey. I'm just grateful for having one last chance to see Dickey ( one that I did not think would ever come around) and for that show to be in Macon, GA was the cherry on top. Long may you run, Dickey. I will forever be thankful for being in attendance at this show. What you heard is true!He was in the hospital for 3 day's.Also the man has carpel tunnel(guess that's the way ya spell it)along with arthritis.Add to that he is 75 years old and has lived a life that would have put most here in their grave at 21.So please get off the whine wagon.It was a celebration and gathering,PERIOD!And not a OH man,he blew the roof off the place evening.I get so dam sicka readin bit by bit,play by play take's on a historic gig like this. I ain't raggin on the cat that wrote this post.But the fella that started this thread off.You ever sat with the man round a smoker cookin food and listening to him play?Or ever heard the man one on one go into a vocal solo of Hank's Lost Highway?No guitar,just some hambone slapping on his knee's.Ever sat up till 3 in the morning watchin tv with the man ,& shootin the sh*T.Most likely not i'd bet.Just good at pickin a legend apart. And groupie luke jumps in with his "Dickey lets me cater his picnic" garbage. Thanks for the incredible insights. You are one miserable SOB man. Surprised you spelled every word right. So please get off the whine wagon. "a place, meeting, or medium where ideas and views on a particular issue can be exchanged"
I also watched this live from facebook, as I'm not in Georgia or the South, and plane tickets are expensive. I am too. It was great to folks I hadn't seen in years. Between the people that came out to play and sing with him and the number of his peers that were in attendance this was a celebration of his work. With his health being what it is he could have easily said F it I'm staying home. Well one way or the other, it sounds like everyone had a good time including the musicians. It's great that Jaimoe and Dickey played together on stage. Hopefully it won't be the last. Cheers! Life is short, people. Do whatever makes YOU happy and don't worry about what anyone else thinks! I have seen Dickey at this best--with the original ABB in Feb of '71 and the Leavell/Williams lineup in June of '73--and far from it--about ten years ago here in Vermont @ HG when he had clearly lost more than just a step and with the instrumental lineup combined with setlist, was NOT PAYING TRIBUTE TO GREGG but rather (unnecessarily) reminding the audience of his past. it's a tribute to him that he's trying, but it sounds like he's falling too far short of an acceptable level of musicianship to come across as anything more than nostalgia. And, as I stated -or rather asked-in a separate post, his management and his band are unfortunately enabling an offering below an acceptable level of professionalism. It's all too reminiscent of the late Jerry Garcia in his later years, but in his own heart, I'd would've like to think Dickey himself would know better---unless perhaps he doesn't and, if that is indeed the case, much more the pity!? "When he is an Indian, he is so spiritual. A great leader, he doesn't force opinions, he shares information. When he is a cowboy, he's not. Let just say he is not anything like the Indian when he is a cowboy. I love him either way. I always have and I always will." Dickey was retired. He decided to play some shows because so many people missed him and wanted to see him and hear him play . There obviously is a demand to see him and his presence in Macon obviously elicited warm feelings from those who attended, or at least most of them. I suspect most expected he would not be at the top of his game, and given his age and physical ailments its admirable that he wants to give back. So yeah, you didn't get the Betts of 1971 or 1973 but you did get him. That's better IMO. If I melded all the mixed energy and feelings here as a mindset, I can't decide if I would be neurotic, psychotic, or schizophrenic. Maybe just depressed and moody. I look at it this way. The cost of seeing Dickey is the financial equal of buying a few decent meals. Whoppeee, I think it can fit in, regardless of where it goes. Jerry was a diabetic in terrible shape and a junkie [he died a few days after his 53rd birthday!] 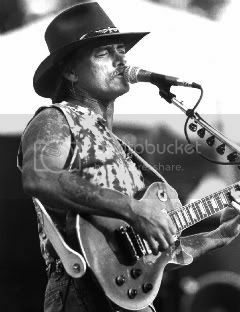 Id say the deadheads were much more forgiving and appreciative of Jerry then some "fans" of the brothers and of Dickey Betts. for some "fans" to take a dump on him is beyond classless.